Dust off your jean shorts and cans of blue paint. "Arrested Development" is headed to the Arlington Cinema & Drafthouse (2903 Columbia Pike, Arlington) for a Best of Season Three viewing party this Thursday, Sept. 15 (9:30 p.m.; $10). More importantly, the evening will feature The Nevernudes, an "Arrested Development" tribute band, a Bluth-alike pageant and trivia contest. We know you've got a string of pearls and a wine glass somewhere -- just perfect your Buster-directed eyeroll and you're all set. The viewing party is one in a series at the Drafthouse, featuring shows that were often cancelled before their time. Get together with other fans and weep into your brews about the untimely demise of this cult favorite. 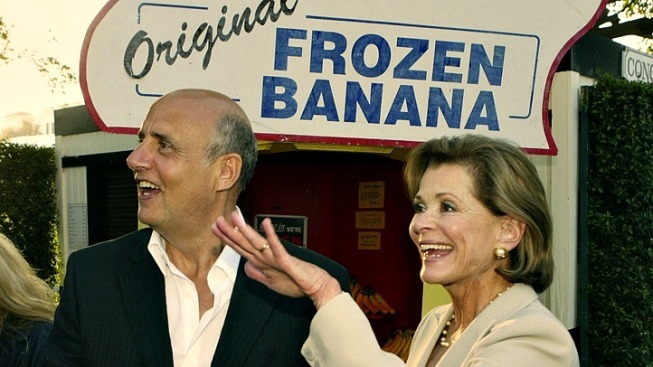 But just remember, all is not lost: There's always money in the frozen banana stand.